A new series by the New York Times investigating privacy has uncovered a Google database known internally as SensorVault. Police have been able to access the database to help identify suspects based on their movements recorded in SensorVault. While most of us aren’t going to be caught up in a crime, it is nevertheless concerning that your location history can conceivably be accessed by law enforcement, on demand, should the police want to know your whereabouts. 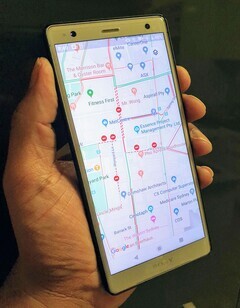 This is what a New York Times series investigating privacy in today’s society has uncovered When Android users enable location history to get maximum usefulness from Google's services, user location history is stored in a massive Google database known internally as SensorVault. Police have been using it as a digital dragnet to track and apprehend crooks. According to Google, it only ever provides police with access to this data when required to do so by law. Police have been providing Google with a type of warrant known as a “geofence” request. Google will use the coordinates and time provided by the police and identify devices that were in the area. These devices are initially given anonymous ID numbers and police will review the data to assess location and movement patterns that might be a possible fit for the crime. Once the field has been narrowed to “a few” devices, Google then provides police with the names and email accounts associated the movements police are interested in. Unfortunately, as the Times article demonstrates, this has led to wrongful arrests but also helped solved many crimes. According to a statement provided to the Times by Apple, it said it is unable to provide police with this type of information. While the police could also pull similar data from a carrier’s records of cell phone (Android or iPhone) to tower pings, the Google data is much more accurate with regard to a specific vicinity thanks to your smartphone’s GPS. If you plan to commit a crime while carrying a smartphone, an iPhone might be the better choice -- but only if you don't enable Google location services on it. Then again, it's almost impossible to maintain privacy in a world where you can't even walk down a street without being surveilled.